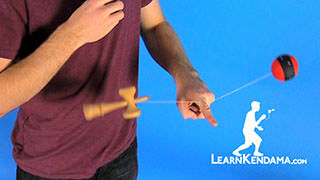 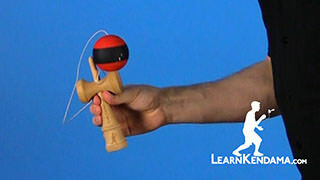 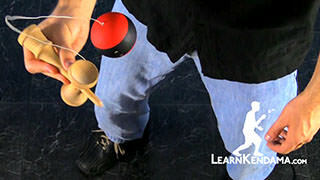 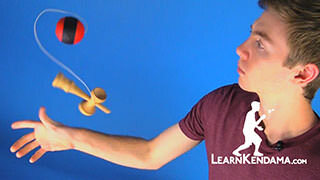 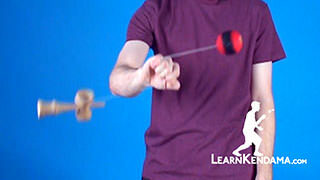 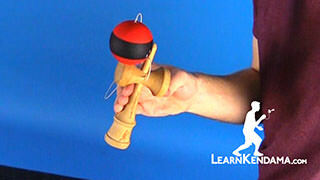 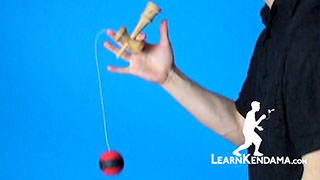 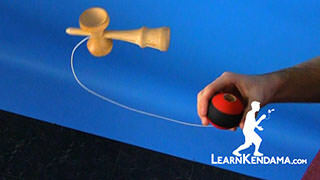 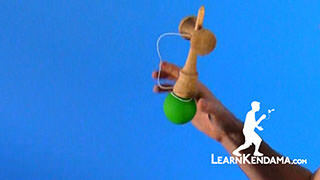 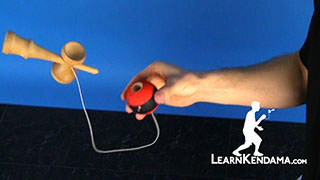 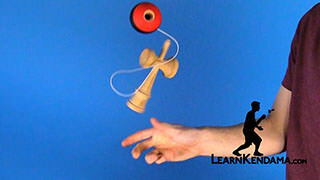 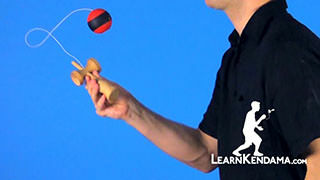 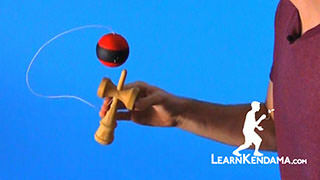 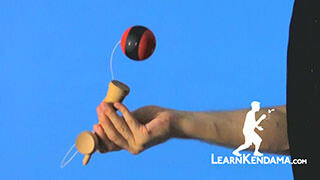 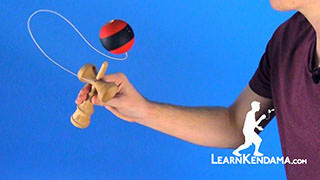 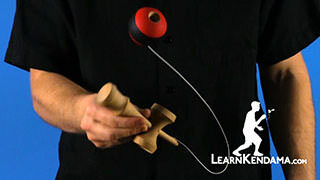 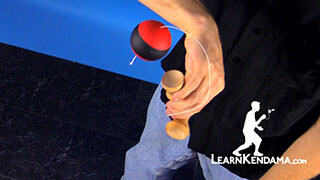 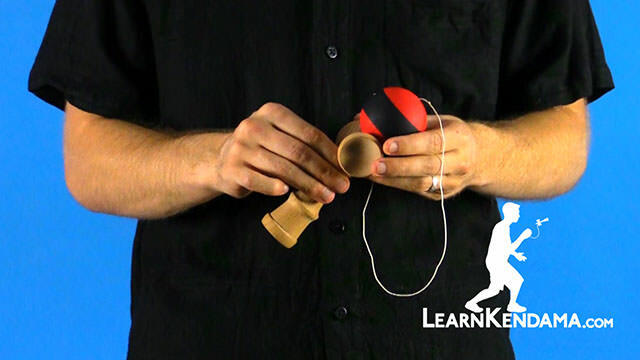 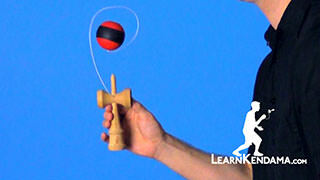 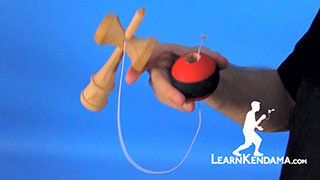 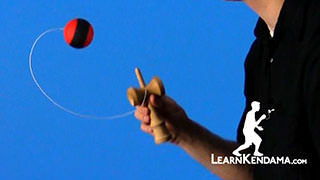 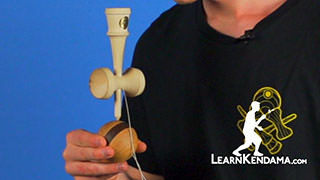 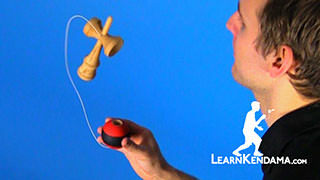 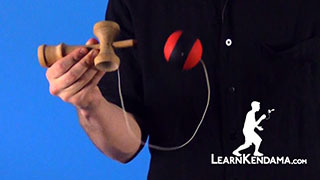 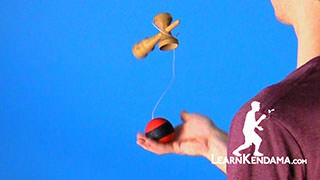 Learn the kendama trick Bird. 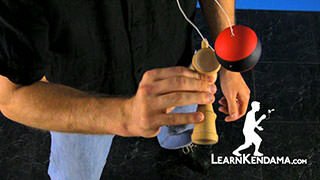 Bird Kendama TrickThis trick is called Bird, and it looks like this. 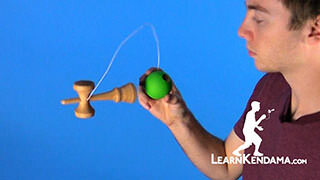 To do this trick, what you’re going to do is, you’re going to balance the tama with the hole down on the big cup and against the spike. 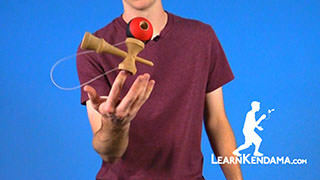 The best way to start practicing this trick is to just practice that. 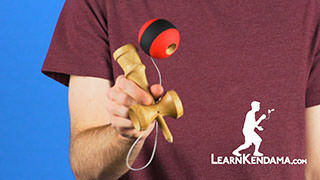 What you want to do is get in your ken grip and take the tama, and with the hole down, you’re going to put the hole right on the big cup. 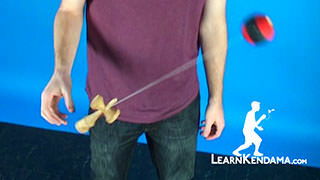 Try to line the spike up right with the center of it, like this, and you’ll be able to balance it. 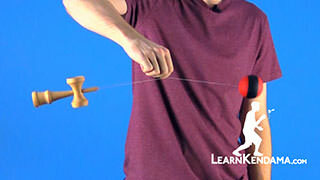 You’ll notice that you can balance it with the ken pointing straight up, but it’s a little easier if you tilt the ken forward just a little bit. 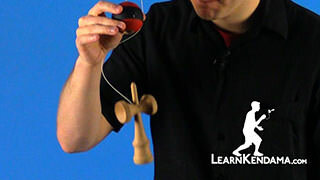 That gives you a better center of balance. 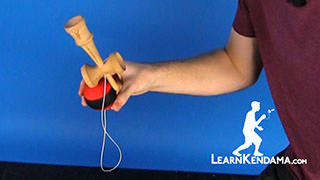 Once you’ve got that, you really want to get comfortable with it. 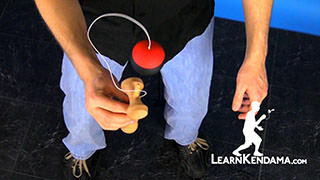 Move around a little bit, particularly practice bending your knees and coming up, as the knee bending is really important to the trick. 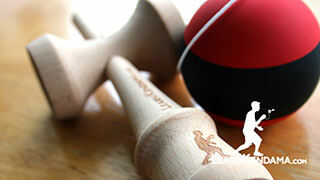 From there, you want to make sure that you’re comfortable with your pull spike; that you’re really good at bending down, getting the tama to come up with the hole pointing straight down. 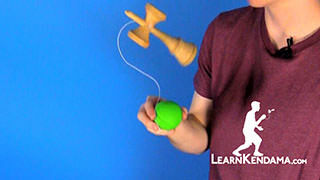 If you haven’t learned that go check out our video on the Pull Spike. What we’re going to do now, is you’re going to do the Pull Spike, and as you pull up, just as the tama reaches about where your ken is, you want to put the ken underneath and land with the big cup down on the spike. 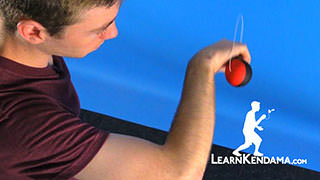 The most important part about this is that you bend your knees to cushion the landing. 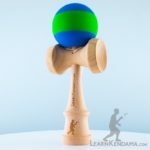 If you don’t cushion the landing you’re going to pull up and find that there is just too much pressure coming down and the tama will bounce off to one side or the other. 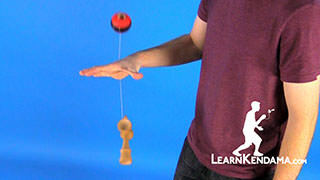 But, if you bend your knees you can really cushion that drop and it will land just right. 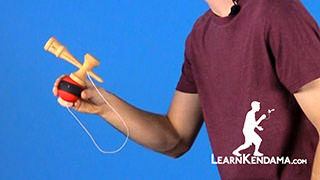 From there, to finish off the trick, all you’re going to do is you’re going to pop the tama up, slide your spike underneath, and that is Bird.